Beautiful wedding Cake and excellent service. On top of Linda being just as her name describes her as "beautiful" her cakes are AMAZING! Decor, taste, everything is great. I never felt the need to micro manage the process and had 100% confidence she would deliver exactly what i asked for. I think one of the hardest thing is planning a wedding over seas all by oneself. I've contacted several bakeries about wedding cakes and they took forever to respond, but not Linda, she has been absolutely wonderful. She even let us do a cake tasting when we arrived to Cancun. We also met her husband, they are so warm and kind to us. She answered all my questions and accommodate to my changes. I am so happy everything went smoothly. I am definitely happy I went with Linda. Linda was so helpful! 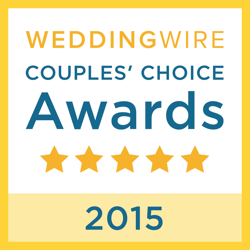 We planned a destination wedding / elopement by ourselves and she was so easy to work with! Her cake design was exactly what I envisioned, right down to using my favorite flowers and bling ribbon...it was really perfect! Linda even helped me beyond by getting me a grooms cake/apple pie! It was truly care-free working with Linda! We hired the services of Arte en Pastel for our official wedding cake in la Riviera Maya! 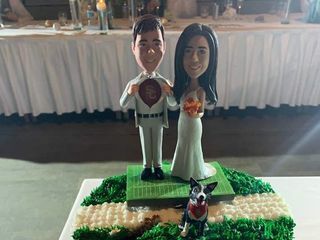 Our resort included a very simple cake in the wedding package, however, I was looking for something that would better reflect our personality and the theme of our wedding. After reading many reviews about many vendors in the area, we decided to choose Linda, from Arte en Pastel. Dealing with her was a pleasure from the very first email communication. She is very quick to respond and address any questions you might have. We looked at her extensive catalog of designs and found exactly what we were looking for: an intricate yet elegant papel picado cake. The security deposit payment was very smooth! Our cake was delivered as requested, and it was one of our favorite details of our wedding - our guests loved it too! Not only the design surpassed any expectations we had, but it was also very tasty! Thank you Linda! Muchas gracias! The cake was wonderfull! Very professionsal and easy to speak with Linda. We leaving in quebec in canada, and we find arte en pastel via google, we speak via email and when we arrive at our hotel we reçeive the cake at the moment we had set and more beatifull we thinking !! Linda is wonderful at creating exactly what you want for your special day. 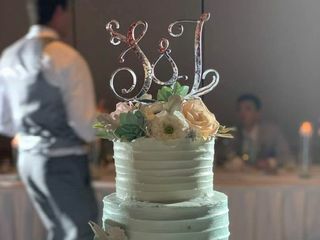 I cannot thank her enough for all her hard work and professionalism in making the cake that I wanted for my destination wedding and delivering it on time and having it look exactly how I wanted it, especially since all our communication was through email. Thank you, Linda, for making my dream cake for my wedding and it was incredibly delicious too!! I wish I could have had more or some left over to take home, but everyone ate it all till there was nothing left. Linda is a master craftswoman at what she does. I highly recommend her. Thank you Linda and Arte en Pastel for creating the gorgeous Italian Cream Cake you provided for our wedding! We appreciate you being open to recreating a family recipe and bringing to life an Italian family tradition that was very important to us. 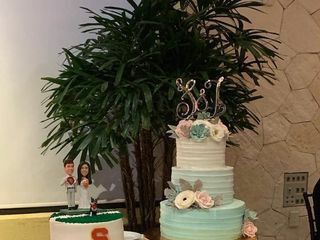 You were able to bring to life our vision and helped make one of our wedding a dreams come true…a perfect, beautiful cake that was delicious too! Thank you for your professionalism and expertise from beginning to end. Linda was amazing from the very beginning of my contract with her. My husband and I wanted a wedding cake that was modern, clean and yet traditional. We had an art themed wedding and designed a cake topper that was a canvas on an easal. We also wanted to have a Canadian Cake and a Mexican cake so we decided to have one tiered wedding cake and one cake in the kitchen that was a traditional mexican cake. (This cake couldnt be made in a tiered cake style). Linda was so helpful in trying to make all of our ideas work together to design something amazing. She responded fast, was very professional and was reasonably priced. Our guests were astonished by the beauty of the cake and the way both of them tasted. They all were blown away. Linda is truly talented, creative and is a master in her field of work. Anyone who hires her company for a cake for their event wont be disappointed. We live in Canada and had our wedding in Mexico. We were looking for someone to do our wedding cake and after looking for a while, we finally found arte en Pastel and were sooooo lucky. The owner Linda is fabulous!! She is so creative and she makes beautiful cake. Not to forget delicious!! We would recommand her in a heart beat!! Wow thank you sooo much! Our day was even better because of you. We did not plan to do anything for our wedding and changed our mind at the last moment. I contacted several vendors, but they didn't response or told me they are too busy. One of them said ok, but gave me outrages price and added to the price extra 50% for "rush" order. It was not easy find someone in the different country (plus I do not speak Spanish), but I found "Arte en Pastel" and Linda was wonderful! She told me she can make any design I have in my mind. But all we wanted is a small, pretty and tasty cake. We let her to choose herself. Oh boy! it was pretty.... Fondant tropical flowers with "drops of dew" on them... and fresh, light, pineapple taste - delicious! And also she brought the cake to the airport for me for really, really reasonable fee.... I honestly am looking for another occasion (e.g, my friend birthday, or something else) to order from her again. Thank you Linda! Excellent service, taste and design! The best birthday cake ever <3 thank you so much! Linda is amazing. I was not sure how everything would turn out ordering a cake onlinw in another country but it was great and she was very professional. I was not to sure about ordering online from the states but after exchanging a few emails with Linda I knew I was dealing with a true professional. The cake was amazing and delicious. It was delivered to the restaurant where we had dinner reservations. I would absolutely recommend Arte en Pastel. Linda is unbelievably talented and her sugar flower work is just gorgeous. We ordered a red velvet, USC-football themed groom’s cake and a Mexican chocolate wedding cake for 100 people. Both were incredibly moist and delicious with cream cheese frosting. They looked EXACTLY as I had described when consulting with Linda about the appearance of the cakes. The guests couldn’t even believe the flowers and succulents were edible. I would recommend Arte en Pastel to any bride or groom! Dear Stephanie: Thank you very much for allowing us the honor to be part of such an important occasion. I am very happy that the cakes were as you expected. Receive our best wishes for a very long life of happiness in your marriage. 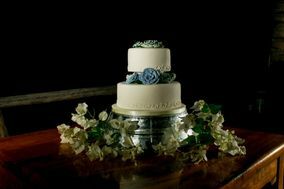 The wedding cake was beautiful...I showed Linda a picture of what I wanted and it was exactly like what I asked for. The only thing was the cake was alittle dry but it was such a humid day that I think Linda tried to account for that. I would definitely order again. Thanks!